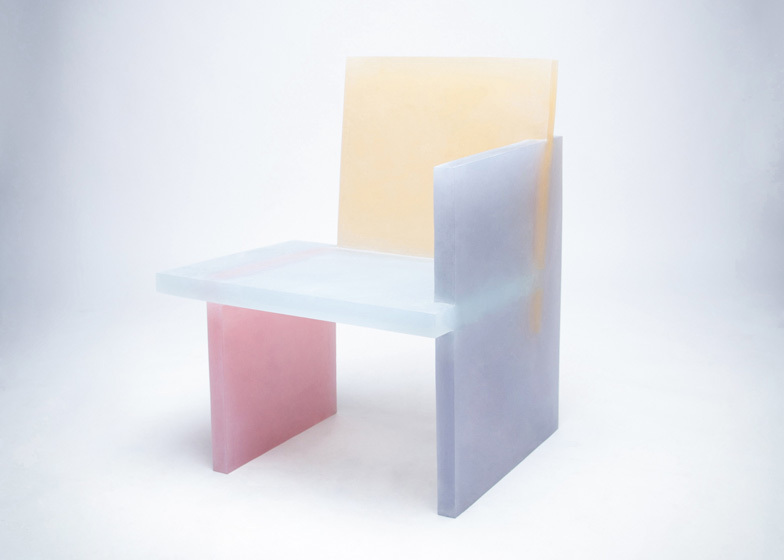 South Korean designer Wonmin Park constructed these chairs and tables from slabs of coloured resin (+ slideshow). 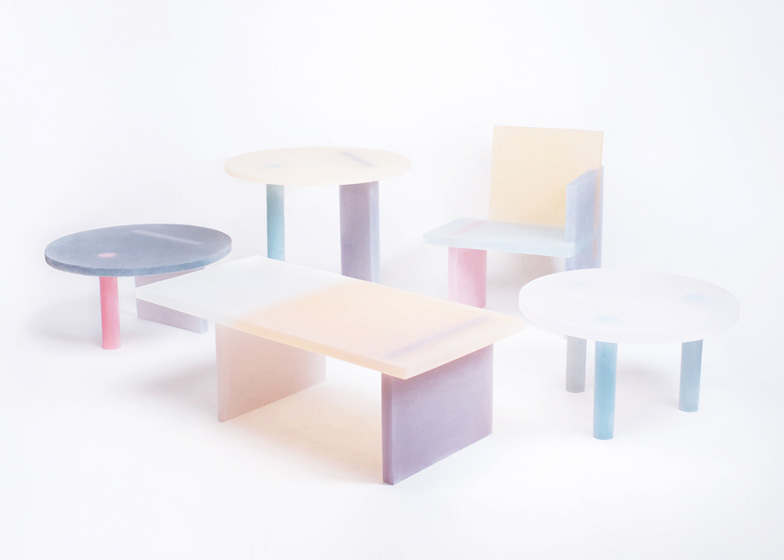 The Haze series by Wonmin Park Studio includes a chair, a high round table, two low round tables and a low oblong table. The resin was coloured with pigment and cast in separate moulds before being joined together. 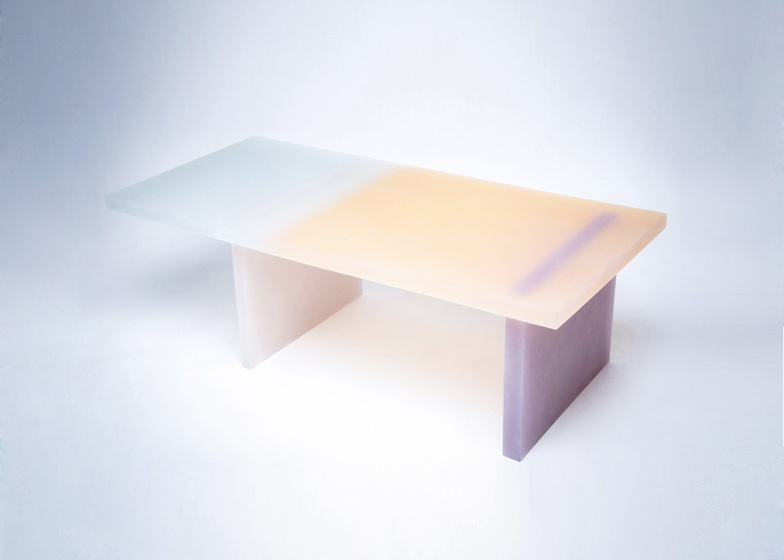 The translucent nature of the resin allows the colour of each element to show through along the joins. The pieces will be shown at Design Days Dubai next week and at the Salone del Mobile in Milan next month. Although currently only available as one-offs, Park plans to expand the series with a cabinet and more chairs and tables. Park graduated from the Design Academy Eindhoven before setting up his studio in the Netherlands. 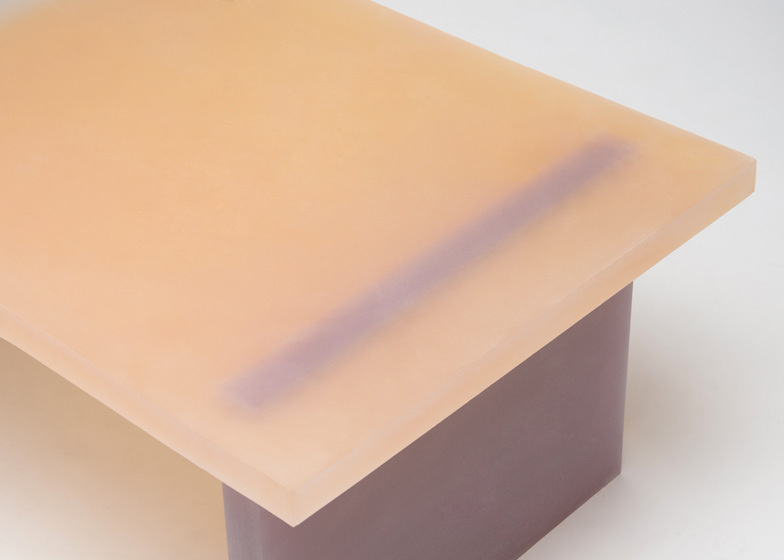 Other resin furniture we've featured includes a series of wooden tables with fluorescent resin encasing their gouged-out tops and a cardboard and resin table by El Ultimo Grito – see all furniture. 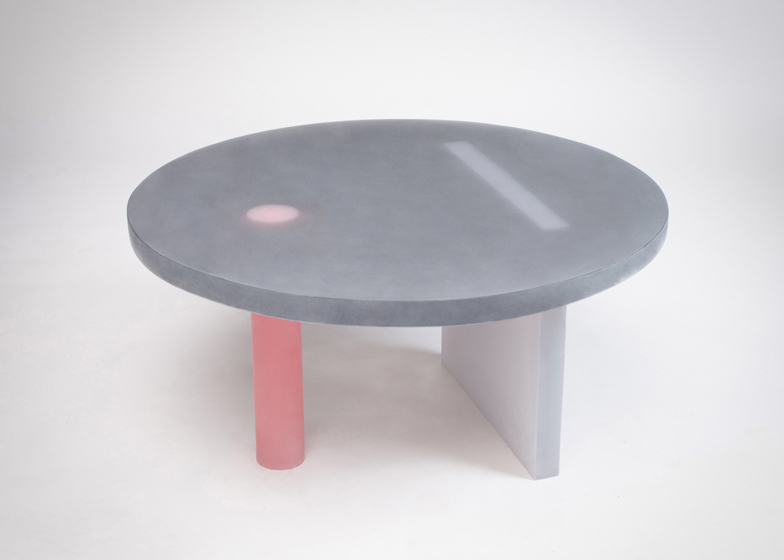 Basic geometric shapes seem to define Wonmin Park's Haze Series. The entire object gives the impression that it unveils itself in front of us through the opaqueness of its parts. But our perception deceives us when we think it begins and ends there. Each Haze object carries within it a dissymmetry of form hidden from sight. 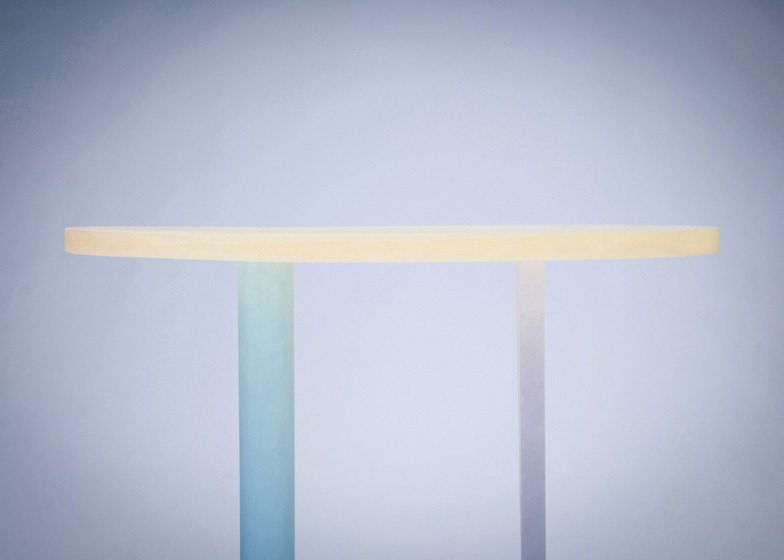 A dissymmetry of form that is balanced out by the colours created in the unique casting process that gives birth to these objects. With its combination of form, colour, opaqueness and texture the Haze series is a balance of rationality and the self in a life where the former often dominates to the detriment of the latter. Wonmin Park's Haze series perfectly positions itself between the substantiality and insubstantiality of life.